How can you get the best out of Skype? The past shows us that transition is a key part of innovation – and organisations looking to move to Skype for Business need to plan for it. The story of the last forty years or so has been one of constant innovation – and of how newer technologies have remorselessly displaced older methods. The consolidation of communication technologies (represented by Skype for Business) seems to be following a well-trodden path. For example, the now dominant ERP merged previously separate manufacturing, distribution and accounting software into just one application. Today Skype for Business is bringing established, but independent, communications applications together. It’s been a common theme across many markets, from Office applications to Hi-Fi. Transferring names and data from one system to another. Putting the right infrastructure in place. Synchronising central email with mobile laptops. What today would be implemented through a wizard, would previously have been implemented by bespoke applications developed by the system integrators. The new technologies win through in the end (but not without some challenges) because new technologies often mean real change in the organisation – and that needs to be managed. Will your network cope with the increase in real-time communications? How easy will it be to transfer all the names, numbers and data across, while keeping your organisation operational? Is your organisation culturally ready for the changes? Do you want to simply throw away your old phone system and the investment you’ve made? 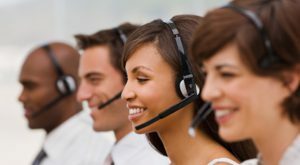 Are you ready to commit your contact centre to the new voice technologies? Different organisations are giving different answers to these questions – but unless you want to commit to the large costs of a major change then you, like many others, will be looking for a more measured and cost effective route. You’ll want to make the most of your current investment, whilst giving your people the best collaborative environment available. Organisations need to remember that innovation is about both the new AND the transition to the new! You need people who have feet in both camps to make this transition as smooth and rewarding as possible. That way they’ll understand the full scope of the challenges ahead and put a transition plan in place that minimises the pain and maximises the undoubted gain.